Researchers based at the University of New Brunswick (UNB) are playing lead roles within the internationally acclaimed Canadian Rivers Institute (CRI), which, in the lead up to World Rivers Day on Sept. 25, is releasing a report today highlighting its first 15 years of achievements. 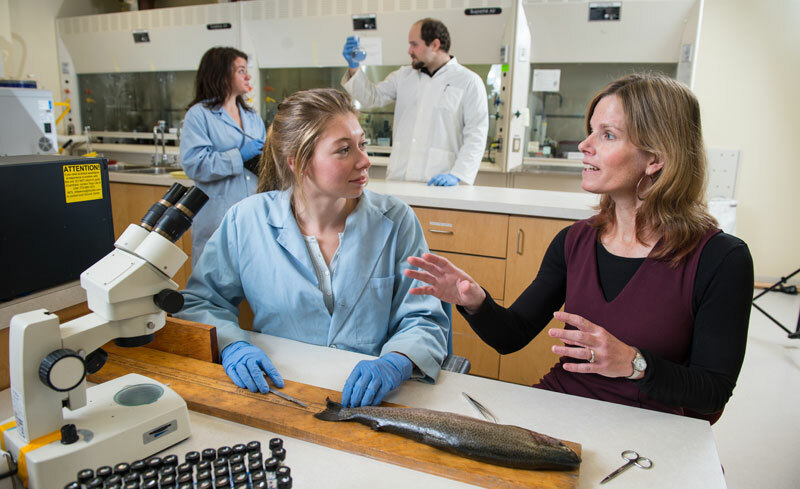 Founded in 2001 by four visionary aquatic scientists at UNB, the CRI has grown into a network of 22 science directors and their multi-disciplinary research teams based at 14 universities and institutions across Canada and abroad. The Institute is a “made in New Brunswick” success story, having put scientific expertise and technology germinated at UNB on the international stage. In a short time, the CRI has evolved into a world leader in applied aquatic science that is addressing many challenges facing the world’s rivers and estuaries. Institute director Michael van den Heuvel says the CRI is breaking new ground in applied science across disciplines to find answers to the important questions being asked today about the world’s rivers. “Whether it is a government seeking to develop regulations, or an industry looking to develop better management processes, every one of our projects is finding a solution to a vital question that affects people and wildlife,” says Dr. van den Heuvel, who is a professor of biology and past Canada Research Chair in Watershed Ecological Integrity at the University of Prince Edward Island. How to better assess the effects of multiple human activities on watersheds and the people and wildlife that depend on them. Student training and professional development is at the centre of the CRI’s work. It has mentored more than 450 students in disciplines that include biology, chemical engineering, civil engineering, environmental management, geology, and policy. Twenty per cent of these students have come from around the world. Two thirds of CRI students studied at UNB. Forty per cent of New Brunswick alumni have stayed to continue their education or work. To further student support, CRI science directors have secured a Natural Sciences and Engineering Research Council (NSERC) grant that provides more than $1 million to students for unique training and professional development courses on water science and management. More than half of the students taking advantage of this program are based at UNB.